Spend a day on the beautiful French Riviera with a small-group day trip from Cannes to Eze and Monaco. Take a perfumery tour in Eze, see the changing of the guard at the palace in Monte Carlo and do a lap of Monaco's famous Formula One Grand Prix. With your minivan transport taken care of, you can sit back and relax on the scenic drive. This small-group day trip is limited to just eight passengers, ensuring you receive personalized attention. For cruise passengers arriving in Cannes with only a single day to see the French Riviera, this privately guided, fully narrated shore excursion to Monaco and Eze is a fantastic option. Visit the beautiful city of Eze, perched on a hillside. And explore the most glamorous country in the world, Monaco, including its most famous resort area, Monte Carlo. 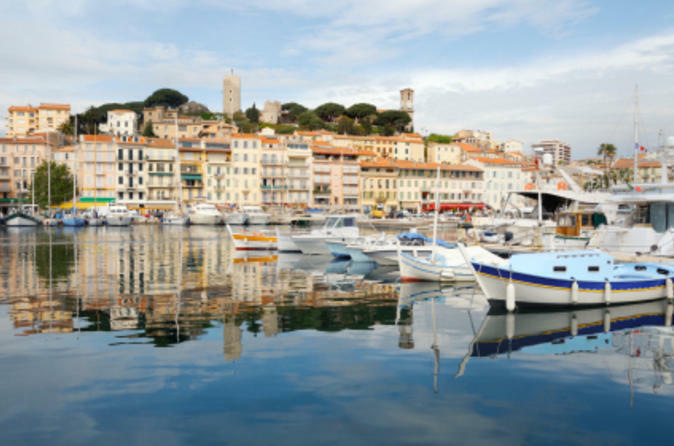 Be transported to quaint towns and splendid countryside of Provence on a small group tour, picking up from Cannes. With your transport taken care of, you can sit back and enjoy your visit to Provence on this personalized small group tour. 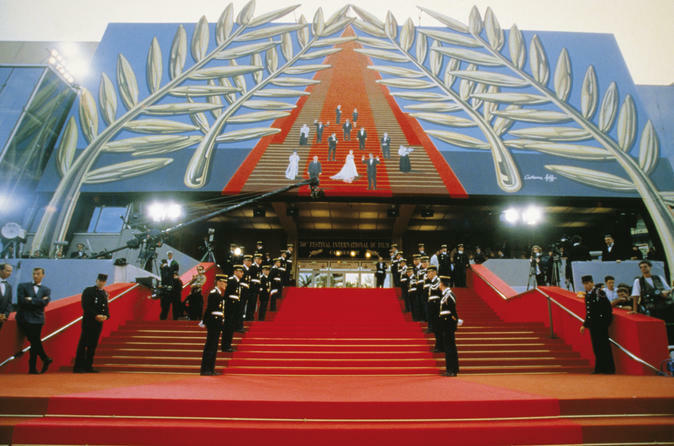 You will also explore Cannes, walk the famous Croisette Boulevard, pass by the Film Festival Palace, discover designer shops and stunning sandy beaches. Spend a glamorous evening in Monaco, where elegant architecture, amazing cars and beautiful people collide on the Mediterranean coast. 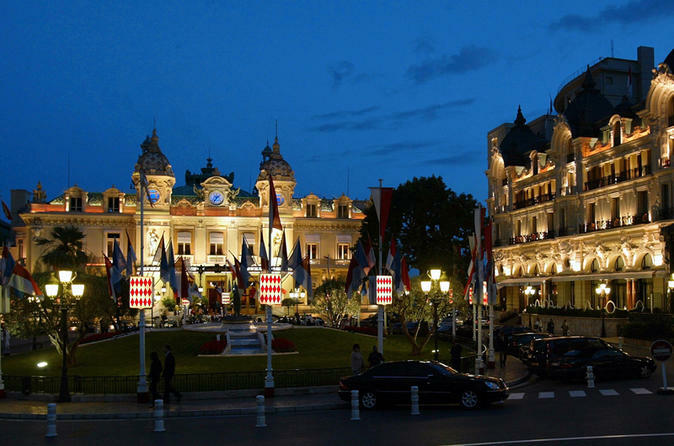 On a small-group evening dinner excursion from Cannes, you’ll drive along the seaside corniche, tour the Grand Prix circuit, enjoy a 3-course dinner and have free time to explore Monte Carlo at your leisure. Numbers are limited to a maximum of eight people on this small-group tour, ensuring you'll receive personalized attention from your English-speaking guide. 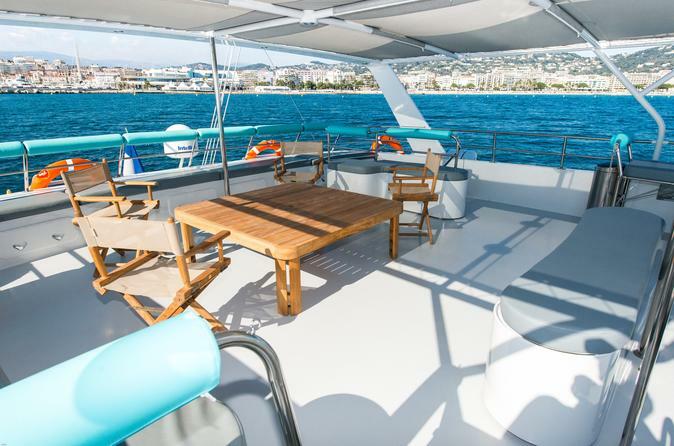 Cruise the Bay of Cannes on a luxury catamaran. Choose from a half-day cruise, a half- or full-day cruise with lunch or a sunset cruise with Champagne. 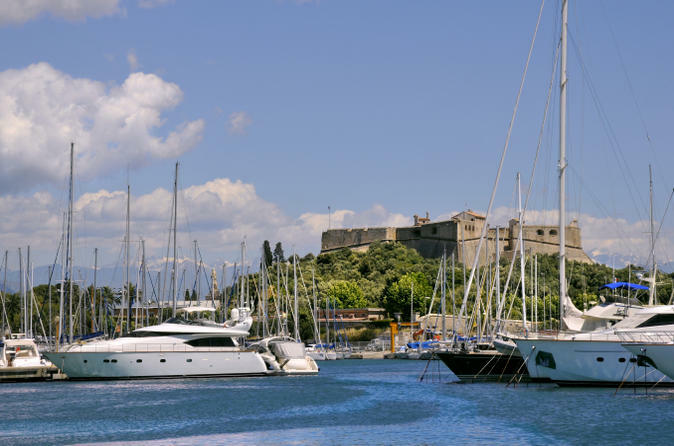 If you've picked a daytime cruise, drink in breathtaking coastal views as you glide toward the Lérins Islands. 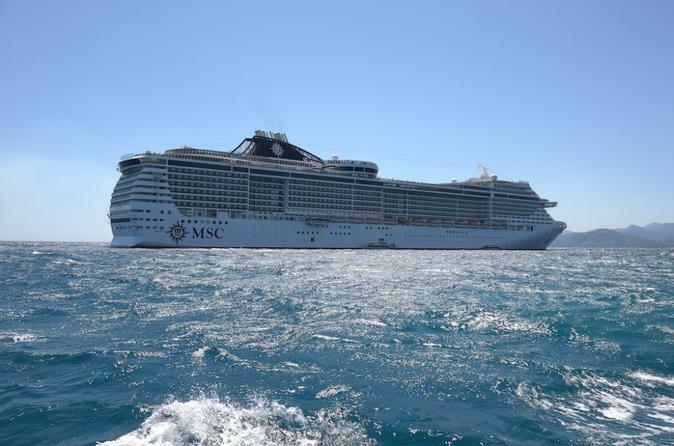 Swim, snorkel, or simply recline on deck. Then, if you've upgraded to include lunch, savor gourmet dishes from the on-board buffet. Opt for the full-day cruise to continue onto Massif de l'Esterel. Or, select the sunset cruise to experience the French Riviera at twilight. 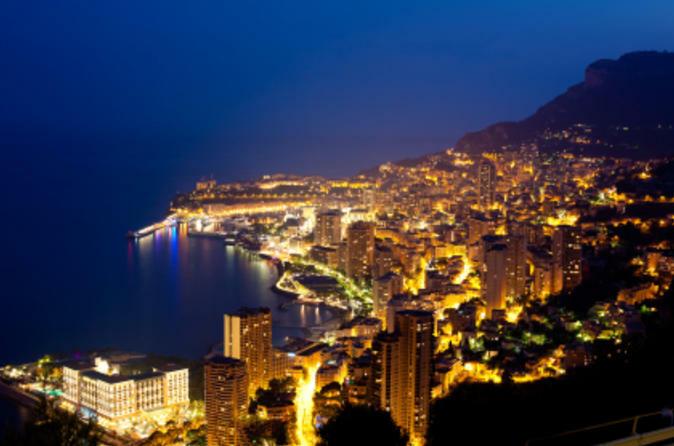 Enjoy the glamorous atmosphere of Monaco, with its fancy cars and beautiful people, on this small-group night tour from Cannes. 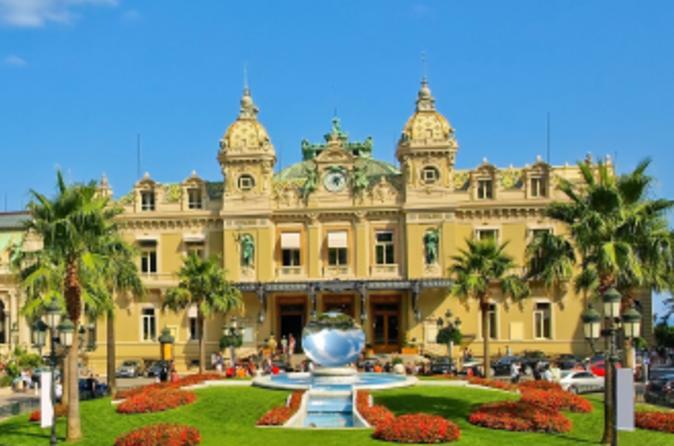 Drive along the Formula One Grand Prix circuit and visit the world-famous Monte Carlo Grand Casino. While in port in Cannes, tour the city and visit the nearby coastal towns of Antibes and St-Paul-de-Vence on this shore excursion. Cruise down Cannes’ glamorous Boulevard de la Croisette to Festival Palace before heading out along the sun-drenched Côte d’Azur. Drool over mega-yachts in Billionaires’ Quay in Antibes, admire the beautiful Provençal countryside and explore the medieval village of St-Paul-de-Vence. Numbers are limited to eight on this small-group tour, ensuring you'll receive personalized attention from your guide. Soak up the sunshine and discover the best of the French Riviera on this 8-hour private tour to Monaco, Monte Carlo and Èze from Cannes. Explore St Nicholas Cathedral, the Oceanographic Museum and the Prince’s Palace in Monaco at your leisure. Take a spin around Monte Carlo’s famous Formula One racetrack with your guide. Visit luxury boutiques and glitzy casinos during your free time, and admire beautiful yachts bobbing in the harbor. Tour the Fragonard perfumery in medieval Èze and explore the craft shops at your leisure. Visit some of the most popular places on the French Riviera during this 7-8-hour private shore excursion. Your guide will meet you upon your cruise ship arrival at the pier of your port of call and show you some of the highlights. As the tour is private, your itinerary is flexible and your guide will adapt the tour to your personal preferences. Visit some of the most popular places on the French Riviera during this 5-hour private shore excursion. Your guide will meet you upon your cruise ship arrival at the pier of your port of call and show you some of the highlights, and as the tour is private, your itinerary is flexible and your guide will adapt the tour to your personal preferences. Come and enjoy with a fantastic tour that has everything: city, villages, sea, mountains, culture and shopping. A day out when we visit Antibes by the sea. 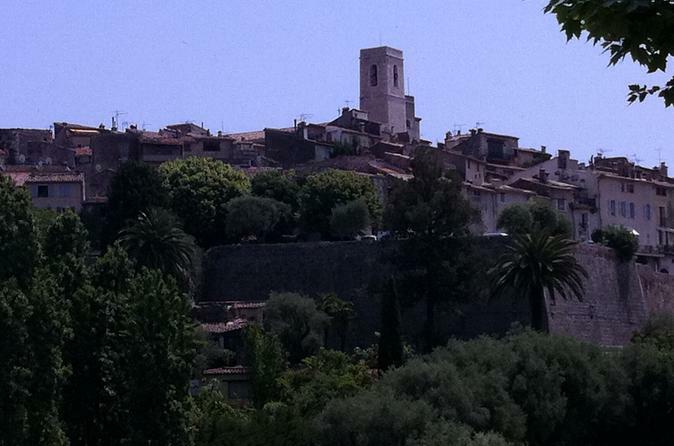 St Paul de Vence, St Jeanet and Gourdon in the gorgeous Provence and the glorious countryside and mountains. Nice: The beautiful city that has everything. Wonderful beach walk, lovely old town, dating from the Middle Ages. Here are held each day a fantastic market with flowers and seafood. Lots of boutiques, restaurants and cafés. 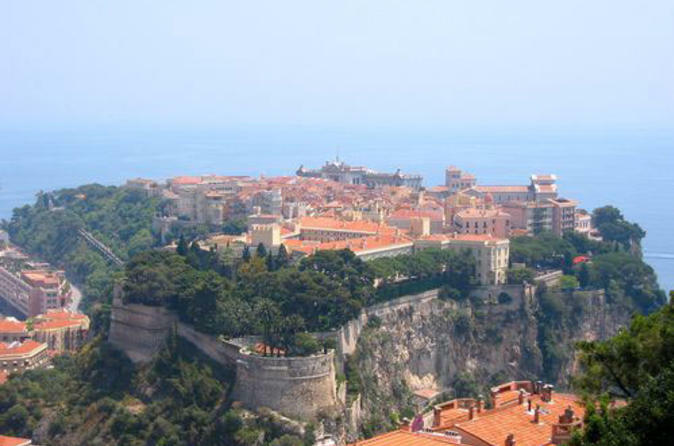 Monaco: Visit this beautiful old town (the capital) built on a rock, very rich in history. Admire the Castle. Jean Cousteau oceanographic museum, with aquariums and fishes. Monte Carlo: Be driven on the most famous Formula1 race track. Try your luck at the renowned Casino of Monaco. 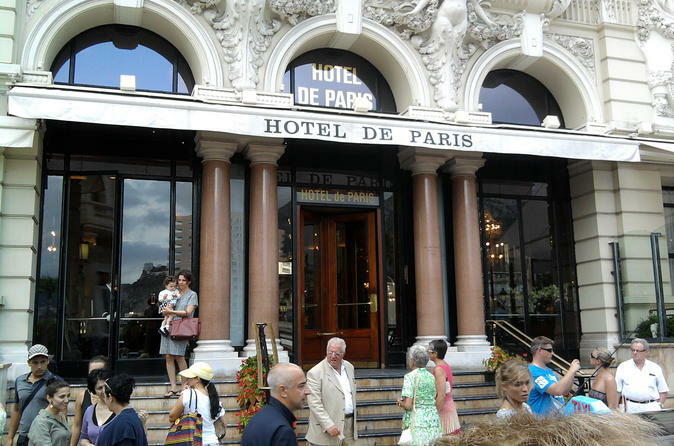 Why not take a break in Café de Paris, where you can sit down and enjoy all beautiful cars. You will get the best solution to get the Internet throughout your trip in France, with the rental of a personal WiFi hotspot, also called "Pocket WiFi" or "Mifi"! You book it before your trip and receive it at your hotel or rental flat everywhere in France. At the end of your rental, you simply return it with the prepaid envelope included. The easiest and cheapest way to get on the internet. Avoid the frustration of hotel WiFi that is slow and often doesn't work, forget about loosing your contacts and the limits of a French sim card: you own a personal and password protected unit, with unlimited and shareable data. 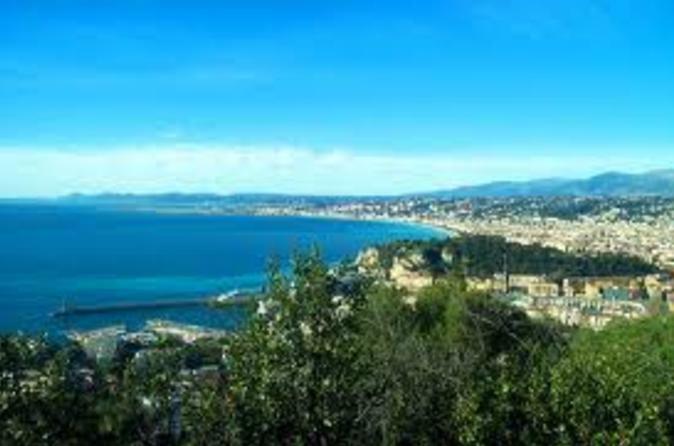 This shore excursion will take you to some of the most popular places on the French Riviera. 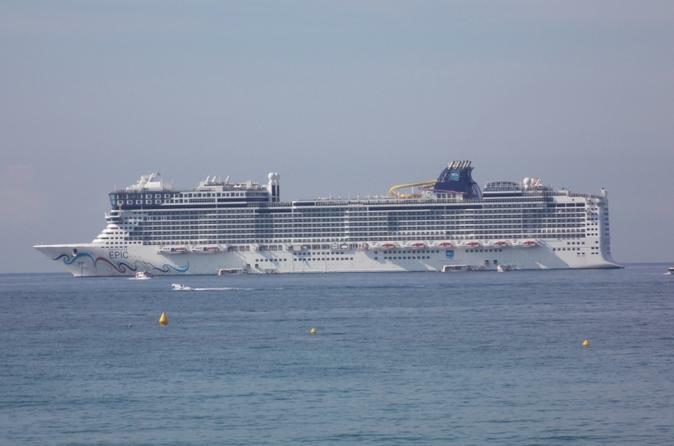 Your guide will meet you when your cruise arrives at the port of Cannes to show you some of the highlights of the area. As this tour is private your itinerary is flexible and your guide will adapt the tour to your personal preferences.